Is annexation headed to the ash heap of history? I’m wondering about annexation because I am currently reading the section of Steven Pinker’s The Better Angels of our Nature: Why Violence has Declined in which he argues that an large number of war related statistics have dropped to zero or near zero since the Second World War, for the first time in history. I have spent a lot of this chapter on the statistics of war. But now we are ready for the most interesting statistic since 1945: zero. Zero is the number that applies to an astonishing collection of categories of war during the two-thirds of a century that has elapsed since the end of the deadliest war of all time…Zero is the number of times that nuclear weapons have been used in conflict… Zero is the number of times that the two Cold War superpowers fought each other on the battlefield… Zero is the number of times that any of the great powers have fought each other since 1953 (or perhaps even 1945, since many political scientists don’t admit China to the club of great powers until after the Korean War)… Zero is the number of interstate wars that have been fought between countries in Western Europe since the end of World War II. It is also the number of interstate wars that have been fought in Europe as a whole since 1956, when the Soviet Union briefly invaded Hungary…Zero is the number of interstate wars that have been fought since 1945 between major developed countries (the forty-four with the highest per capita income) anywhere in the world (again, with the exception of the 1956 Hungarian invasion)…Zero is the number of developed countries that have expanded their territory since the late 1940s by conquering another country…Zero is the number of internationally recognized states since World War II that have gone out of existence through conquest…The point of this chapter is that these zeroes— the Long Peace— are a result of one of those psychological retunings that take place now and again over the course of history and cause violence to decline. – Pinker, Steven (2011-10-04). The Better Angels of Our Nature: Why Violence Has Declined (Kindle Locations 5577-5578). Penguin Group. Kindle Edition. Those that settle more people here for a greater period of time. Those that remove more of other populations. Those that remain emotionally connected to the land. Those that build massive physical works. Thus, the British left few traces. The Romans left buildings. The Christians left many buildings and a small population. The Muslims left many buildings and a large population. Jerusalem implies a powerful realpolitik lesson for the Israelis: this is the way the world works. Pinker’s book, though, offers a counterargument. While this is the way the world worked, and the way much of the world continues to work, it works less and less this way. The Enlightenment has been a success. It has had a slow, fitful progress with the single largest setback in human history in World War II and the Holocaust. The Enlightenment, as many have pointed out, failed the Jews. Nonetheless, Pinker argues persuasively, the trend lines are in the right direction. Cosmopolitan humanism is also a better way to live than tribalism, nationalism or other models. It yields greater economic success, more stability and richer cultural life. It results in less war, fewer homocides, and a decline or virtual elimination in many horrors: slavery, child labor, public torture and animal cruelty for entertainment, among others. So, a tentative assertion: forced annexation is an evil that is not only no longer necessary, but on its way out as a method of doing the business of peoples and states. Who precisely is “the conflict”? Who taught them? Two weeks ago Israeli police found pamphlets that read, “Members of the Likud Caucus [the right-wing party currently in power], along with its thousands of members, headed by Moshe Feiglin [a political activist] are hereby invited to arrive at Temple Mount and praise God, and declare that healthy leadership begins with total control over Temple Mount. 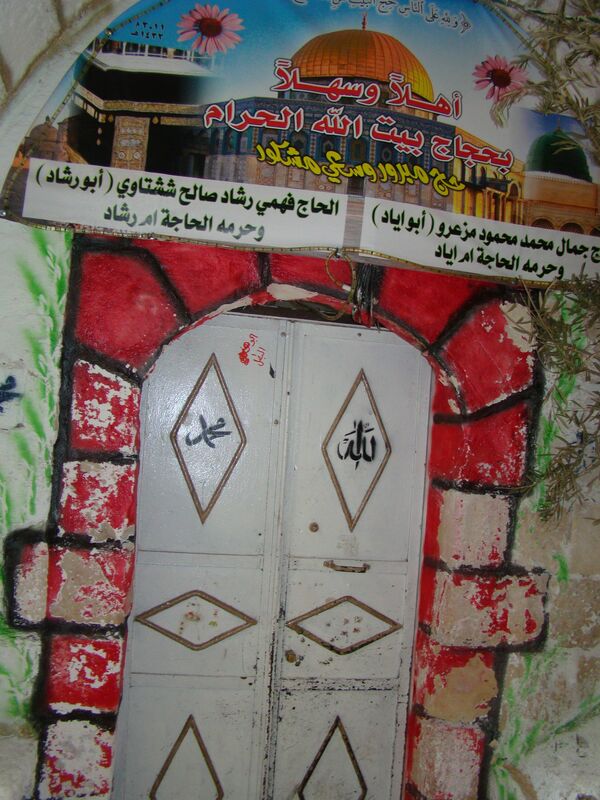 (Let us) purify this place from the enemies of Israel, who rob lands, and build the Temple on the ruins of mosques. We need not be afraid!” Police banned Feiglin from going onto the Haram al Sharif, which he tried to do. This news spread through the Palestinian community, and some began protesting. A week later, a rumor spread through some Palestinian circles that Feiglin and his supporters were going to try again, and young men again protested and threw stones at the army. This past Friday, Talat Ramia was among young men throwing rocks at a checkpoint, when he was shot and killed by an Israeli soldier. An Israeli army spokesperson said that Ramia had thrown firecrackers at the soldiers. Since I am interviewing both Israeli and Palestinian teachers, this news made me wonder: where did Moshe Feiglin go to school? Where did Talat Ramia go? What I would have hoped from each would have been different – from Feiglin, a broader and more welcoming view of humanity, and from Ramia, better self-control and understanding of what will actually further his hopes and dreams. Did Feiglin have teachers who introduced him to an understanding of and respect for people of different faiths? Did Ramia have teachers who sought to inculcate in him emotional self-regulation and an insight into what actions actually effect political and social change? For Feiglin a quick web search in English turns up masses of information, including where he went to high school, facts about his family, his two books, his regular writings and his many speeches. For Ramia, 15 minutes of searching in English yielded me only his hometown and a picture of his relatives mourning. In any case, Feiglin is a 50 year-old highly influential Israeli nationalist political activist, and Ramia was a 25 year-old Palestinian angered by the latest rumor. Of course, both were influenced by many people before and after high school, most powerfully by their families. Nonetheless, were there teaching opportunities to turn them, even if ever so slightly, off the path that led to this tragedy? Will the Israelis save the world? Where the world will get clean water, and what it will do with its wastewater, are crucial issues for the future. Fortunately, the combination of an arid landscape, a small country and a powerful high tech sector have made Israel a great place to work on the solution. As we visited the northern Galilee, I talked water with my fellow Fulbrighter, writer and environmental economics scholar Sarah Hilzinger. The setting was auspicious. 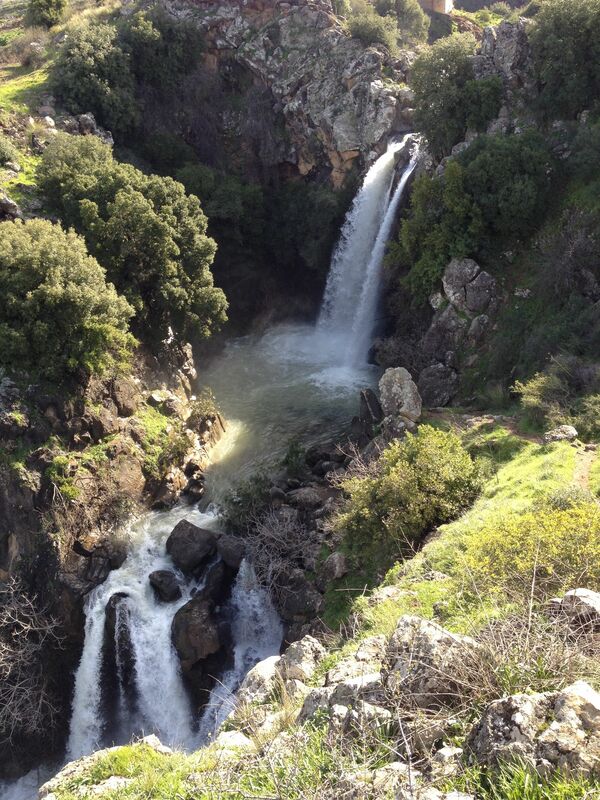 The Jordan is the source of much of Israel’s water, and after a blessedly rainy winter the headwaters were flowing fast. 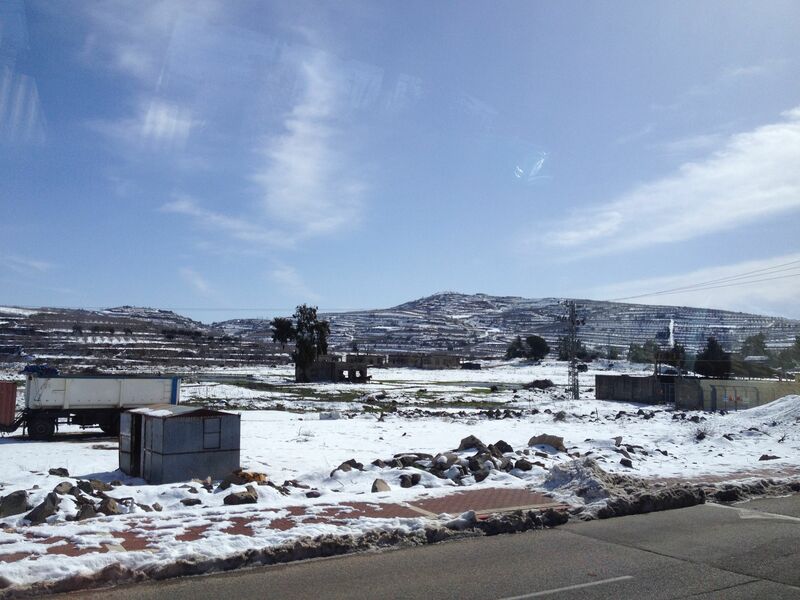 We even got to see real snow in the Golan. Hilzinger, meanwhile, talked about water that is not quite so pure. Israel recycles about 70-80% of its black water (sewage). The second-place country in these sweepstakes, Spain, comes in at 20%. Israeli researchers are working on even less expensive and more scalable methods than those they currently use. Indeed, one company seeks to turn wastewater treatment from a process that consumes energy to one that produces energy. Other water technologies, like desalinization and drip irrigation, also emerge from Israel in advanced forms. Hilzinger works, among other things, on trade in these technologies between Israel and China. For an encouraging look at the intersection between humanitarian and technical advances, check out some of Hilzinger’s writings here. The Palestinian right wing looks like this: In 2008, a 26 year-old Palestinian man from Jabel Mukader in East Jerusalem killed eight students in their yeshiva. A poll found 84% of Palestinians supported the attack. As one walks around Ramallah, and even East Jerusalem, one sees posters of martyrs, including those who attacked Israeli civilians inside Israel. Posters at Abu Dis University as well in refugee camps proclaim, “Haifa, we are coming,” implying that refugees and their descendants should view 1948 Israel as their land. At Hamas anniversary celebrations in December, leader Ismail Hanina said, “We affirm that armed resistance is our strategic option and the only way to liberate our land, from the sea to the river.” This month Hamas has fired at least nine rockets from Gaza into Israel. The Israeli right wing: A teacher at an Israeli national religious school I interviewed recently said that most teachers and students at her school would consider Arabs the enemy. The school would not even think of having meetings between their students and Palestinian students with Israeli citizenship. Recently a Jewish settler in Hebron, asked by visiting students what he thought the solution was to the hostilities in Hebron, answered, “to encourage the emigration of our enemies.” Last week Hebron settlers attacked a Palestinian woman’s home, burned Palestinian cars, and beat two Palestinian men. More broadly, in the last two years Israelis have killed 259 Palestinians; Palestinians have killed 19 Israelis. I’ve often heard Israeli centrists and leftists say that the Israeli right is playing for the long term. Keep pushing – take a few more homes, intimidate a few more Palestinians, build a few more settlements – until there is a large Jewish majority in all of mandate Palestine, and the Palestinians who live there are a small and dwindling minority. I’ve also heard Palestinian centrists and leftists say that the real strategy of the Palestinian right is to hang on, to tough it out for the long term. The Israelis are just the latest in a series of imperial powers, they reason, and they too will eventually weaken and leave. The right on each side seems to agree: the Israeli-Palestinian conflict is a zero sum game in which neither group can compromise and where each group is playing a long game for massive majority status and absolute governmental control in all of historic Palestine. This does not have to be the case, of course: beneficial co-existence has succeeded among many other hostile groups in the past, and real peace is the ultimate “value added” solution. But putting that to the side, there is one huge difference between the Israeli and the Palestinian right wings. The Israeli right has accurately predicted the future of a no-compromise policy, and the Palestinian right has badly misunderstood the character of Israeli presence in the land. Israel holds almost all the cards: a gdp per capita ten times the size of the Palestinian territories, close to absolute backing by the world’s sole superpower, a highly effective army, a populace willing to continue with the status quo, and a sophisticated legal, political and administrative structure allowing them to move forward with oppressive policies without pushing the U.S. or their own population into outrage over injustices. Palestinians hold almost no cards. Palestinian violence only strengthens the Israeli right. Palestinians don’t have the money, the connections or, it seems, the sophistication to get their message out to the U.S. The surrounding Arab states have either made separate peaces (Egypt, Jordan), and/or are caught up in their own internal politics (Syria, Egypt, Lebanon). In any case, these countries have never been effective advocates of the Palestinian cause. Most obviously, the Palestinian territories are, well, occupied. Describing the situation as asymmetric is a deep understatement. The Palestinians have to make this sharp shift because the Israelis are not an imperial power. They have no homeland, no capital of London, Constantinople, Cairo or Damascus to which they will return. They are not here due to a combination of economic interest and colonial hubris. They feel this to be home more deeply than perhaps any other people on earth. To Palestinians, who look back a mere 160 years to when 96% of the population was Muslim or Christian and 4% was Jewish, the Israeli identification with the land seems unbelievable – but it is deeply, psychologically true. Waiting, in the best case for the Palestinians, will simply do nothing to lessen Israeli presence. We are, however, far from the best case for the Palestinians. Instead the Palestinians will be moved: one detour in the wall, one hilltop settlement, one secretly purchased Old City house, one demolished terrorist’s home at a time. Both right-wings are, ethically, deeply in the wrong. For reasons of justice, human rights, concern for the other, and their own people’s humanity, both side should change their views and behaviors radically, in my opinion. But if these ethical arguments do not resonate, and one takes a narrow, identity-based, zero-sum view, only one party must change – the Palestinian right-wing.